The Advanced Writing Workshop. 9-13 April, 2019. Erika Krouse is an award winning novelist and short story writer from Denver. She is the recipient of the Beacon award for teaching excellence given out by the Lighthouse Writers Workshop. Erika will lead the Advanced Writer's Workshop on April 9-13, 2019 with the support of Chetan Mahajan. (for detailed profiles, scroll down or click here). This workshop is open only to advanced writers. Participation is limited to only the first 10 accepted applications. Participants arrive on the 9th at any time after 2 PM. That day you take it easy and relax. The next 3 days we work together doing generative writing and workshops. On the 13th everyone leaves after a relaxed breakfast. 9-12 am: in the mornings, we'll focus on generating new, fresh writing. Erika will talk about the day's topic (usually an aspect of the craft of writing), and then guide you through writing exercises to explore the new ideas you're learning about. Some of these morning sessions will feature an outing to bring our writing into the world, and bring the world into our writing. 2-5 pm: We'll conduct workshops by reading each other's work and offering creative suggestions for improvement. Our safe, friendly discussions will focus on constructive solutions to bring each excerpt or story to its highest potential. To prepare for these workshops, each participant will submit 7-15 (double-spaced) pages of writing to the group in advance, and we'll arrive in the mountains prepared to discuss them. We'll also discuss a published piece that focuses on the craft topic from the morning. Day 1 (10th Apr): Characterization. Who are the people who populate your story? We'll explore what drives them, what they believe, what wounds them, and how they might change over the course of your story. Day 2 (11th Apr): Setting. What is the world of your story? We'll look at indoor and outdoor environments, cultures, rituals, and description. Day 3 (12th Apr): Plot. What actions and events propel your story forward? We'll discuss story arcs, and how conflict generates gripping narrative. How much : INR 34,900 ( 3 days, 4 nights of learning, twin-sharing stay, food, taxes). Inspiration is free. Only ten participants accepted on a first-come first-serve basis. To apply, click on the button below. 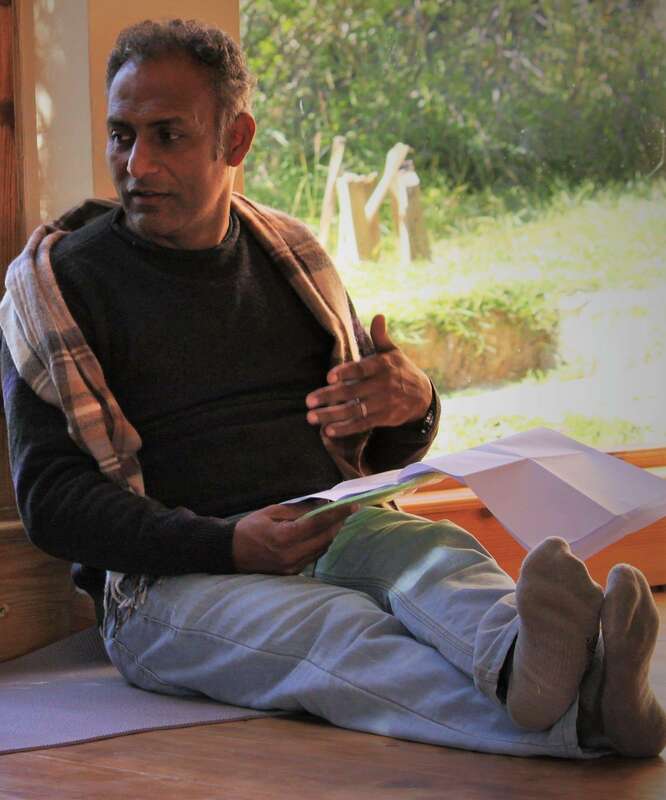 Chetan Mahajan is the founder and co-host of the Himalayan Writing Retreat. A Penguin-published author, he quit the corporate world and moved to a village in the Himalayas to be a full-time author and blogger over three years ago. The Himalayan Writing Retreat is all about helping people with their writing. Chetan blogs about living in the mountains here. His blog won the Indiblogger award for humour. He also coaches for the london based the writing coach.